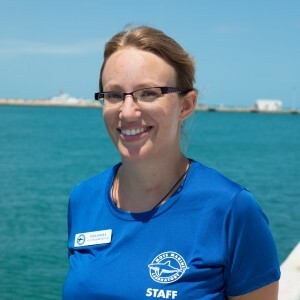 Robin joined Mote in 2017, and currently works to implement Research-Based After-School Program for Students (aka RAPS), which gives local high school students with the opportunity to conduct hands-on research on the coral reefs of the Florida Keys. Her career has always combined marine science research and educational outreach, and she has taught all levels, ranging from preschool through university. Robin loves being a part of the Florida Keys community, and loves helping the next generation of scientists discover the natural resources that surround them. M.S. at Florida International University in the Mike Heithaus laboratory.